Most of the candidates who are in search of All India Entrance Exams can check the below sections. Here we are providing the detailed information about all State & National level entrance exams 2018 – 2019. Along with, candidates can also find Exam Syllabus, Admit Card, Previous year question Papers, Rank Card, Answer Key and Counselling for All Entrance Examination conducted in India in the following sections. Entrance Exams are a part of student’s life. Each and every student face an Entrance Examination in his/her life in order to pursue higher studies. In every stage of Education Journey, students must attempt an entrance exam. They must qualify for the attempted Exam for a bright future. Therefore, Entrance examination plays a major role in Student’s life. To help the students, we are providing complete information regarding All India Entrance Examinations like Engineering, Medical, Law, Agricultural, Pharmacy, Management etc. You just go through the entire article and get the all-state wise engineering & medical exams in depth. Every year, entrance exams for Engineering are held in order to provide admissions into various Under Graduate and Post Graduate Courses. The courses which come under Under Graduation are B.Tech or B.E, and that which come under Post Graduation are M.Tech or M.E. Some Entrance exams are held in State Level while some other are held in National Level. Anyone who wishes to appear for more than one entrance exam can check All Engineering Entrance Examinations listed below. Here we listed the National Level, State Level, University Level, and Post Graduate Courses Engineering Entrance Tests. The entrance examinations for Medical and Dental Courses are conducted in order to provide opportunities for candidates in Medical field. 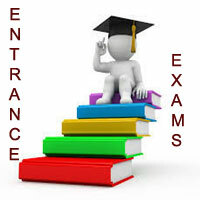 Every year, the conducting authorities organize Medical entrance exams in National, State and College level. Many numbers of candidates apply for medical and dental entrance exams every year in order to get admission in Dental and Medical Programs. All the candidates can refer below for information regarding Medical and Dental exams for Under Graduate and Post Graduate Courses. As per present statistics, it is very important for a person to get employed. In order to get any job, the candidate must be a graduate in any discipline. At present, there are many opportunities for candidates who have MBA as their qualification. Hence, attaining MBA Degree is quite important nowadays. For a person to become the Master of Business Administration(MBA), candidates must appear for MBA Entrance Tests. There are various top-level MBA Entrance Examinations conducted at State Level and National Level. The candidates with MBA qualification can demand a higher salary. You can refer the details about MBA Entrance Examinations which are given below. Officials organize law entrance examinations in order to provide candidates the opportunity to study law courses. The law entrance tests are conducted in both National and State levels for admission to law courses such as LLB, BBA LLB, BA LLB, LLM and other courses. Candidates who aspire a career in law can apply for these exams. Aspirants can appear for one or more exams depending on their choice of College and Course. You can check below for the complete list of law entrance exams conducted in India. The main objective of conducting Entrance examinations for pharmacy is to provide admission for candidates into Pharmacy Courses. Candidates who are looking for admission into B.Pharmacy and M.Pharmacy disciplines can refer the Pharmacy exams listed below. Agriculture is the main source of national income for a developing country like India. Candidates can attain full pledged knowledge on Natural Resources, Agriculture, and Land Management by studying various courses in Agriculture. There is a chance for candidates to get jobs by studying these courses of Agriculture. We are listing out the Entrance tests for admission into Agriculture Courses below.